If you are looking to lease a home rather than buy, as a Realtor I have access to many properties properties in the LA area that are not advertised in the paper. I can help you find single family (detached) homes in Bel Air, Beverly Hills or any other west side or valley areas you are interested in. 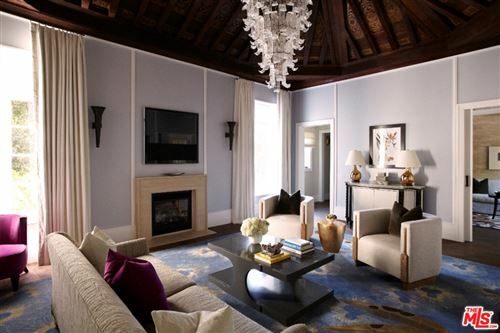 While prices can vary greatly depending on the community and amenities, 1 year leases in Bel Air for nicer properties start at around $6,000 and can run $10,000 to $20,000 per month and up for luxury properties. For an unfurnished home, deposits will usually equal 2 months lease payment, while furnished homes can require a deposit equal to 3 months lease payment. 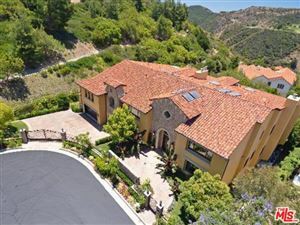 Listed below is a partial current list of homes for lease in Bel Air, CA. This list is updated daily with any new properties so feel free to bookmark and check back. If you would like to view any of these properties, please give me a call at (310) 717-2232 or you can leave your contact information on my contact form and i’ll get back to you within 24 hours. Note: This list is updated daily, so bookmark this page and check back! See all Bel Air Homes For Lease. John Merritt - (310) 717-2232. John is a real estate agent/Realtor serving the Los Angeles communities of Studio City, Hollywood Hills, West Hollywood, Sherman Oaks, Beverly Hills, Bel Air, and all surrounding areas. If you would like to see any properties in the LA area or have any real estate questions please call me and I will be happy to assist. Welcome to Elite LA Homes.com! My name is John Merritt and I am a licensed Realtor specializing in Beverly Hills real estate as well as in high-end real estate and homes for sale in Bel Air, West Hollywood Hills, Studio City, Calabasas and greater Los Angeles. My broker affiliation is with Coldwell Banker, Beverly Hills - the top producing Coldwell Banker office in the USA! We can show you and broker any of the homes you see on this site, as well as new listings as they come on the market. To schedule a showing - or to get help finding the perfect home, either Click here to fill out my contact form, or give me a call and I will be happy to follow up with you! Estates For Sale – Beverly Hills, Bel Air and More! Copyright 2015 - www.EliteLAHomes.com. All Rights Reserved. MLS real estate listing data is provided for consumers' personal, non-commerical use and may not be used for any purpose other than to identify prospective propeties consumers may be interested in purchasing. Information relating to real estate for sale referenced on this web site comes from the Internet Data Exchange (IDX) program of the SoCalMLS, CRISNet Regional MLS and/or CARETS. This web site may reference real estate listing(s) held by a brokerage firm other than the broker and/or agent who owns this web site.